What was it about Fantomas film that made you want to write an accompanying score for it? There are five Fantômas films in total; we were asked by Yan Thiersen to pick one to score for an event in Chatelet Theatre in Paris. We chose the second film since it had so many crazy and surreal scenes – it really stood out. In Halloween 2013 we then premiered the score along four other bands (each scored one film) for a marathon Fantômas show. Can you tell me a little about the process? Which narratives did you most want to reflect in the music? The film was super fun to score. One moment you are making music for a slow and contemplative scene, the next you are scoring a crashing train or a man wrestling a boa constrictor. We try to help the storytelling by creating little themes for characters and situations as aids or guides. The film is by nature very surreal so that is not always easy. The restoration of the film is amazing and it is so interesting to see Paris 1913 in HD. How does writing for film differ from your usual work? With film you have a blueprint so we make themes and songs that compliment the scenes and weave them together throughout the movie. As for writing for albums, things usually come out of thin air. You’ve been working in music for two decades now; what have been the most exciting parts of your musical career? Every time a new album comes out is a highlight, writing new music and preparing for shows never gets old. Is it refreshing to do something new? It most certainly is, and Fantômas really presented an opportunity to create something that was a bit off the beaten path for us thanks to its rich and surreal imagery. Your style tends to challenge the boundaries of what a show should entail (playing multiple different instruments on stage). Are there challenges to playing in this style? Does it make it more difficult when youíre transferring performance from the studio to the stage? Working in the studio you don’t necessarily think about how your work will translate on the stage practically speaking. 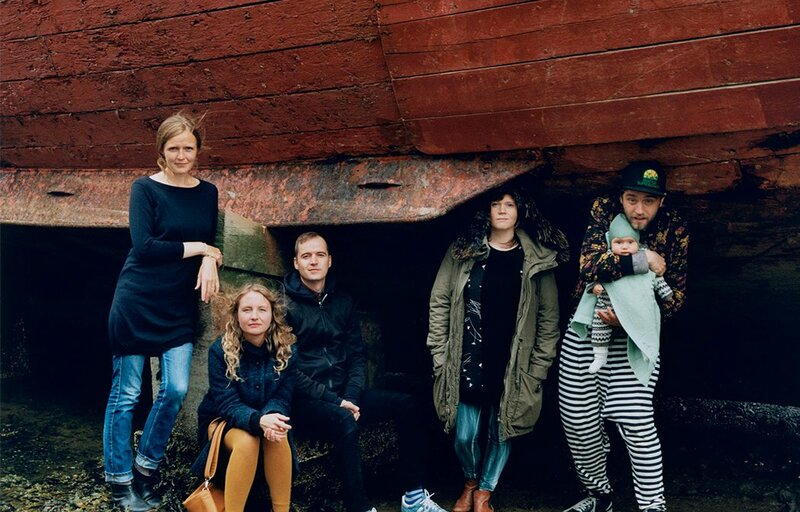 You’ve worked with Sigur Ros a lot over the years; will you collaborate with them in the future, or are you keen to place more emphasis on your own projects now? We are going to keep on doing our own stuff and projects for the foreseeable future. We have actually started working on new music and we will see… maybe we’ll have a new record released soon?! Sum up the show in a short and snappy sentence. Ooooo that’s a hard one… help us! Amiina – Fantômas comes to ACCA on Sat 17 Nov.